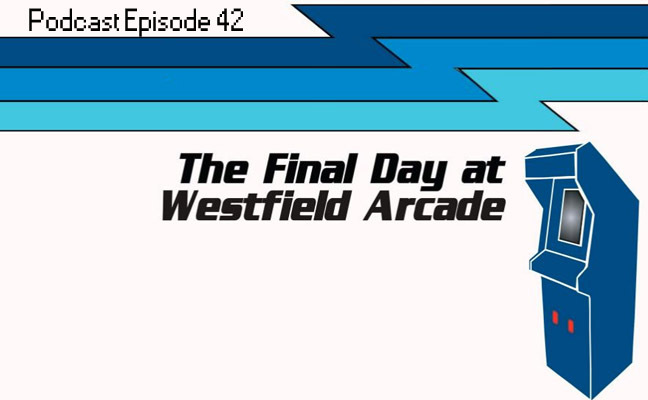 Author and arcade enthusiast Andy Hunt stops by the podcast to talk about his book, The Final Day at Westfield Arcade. After the interview and requisite updates about our gamerooms we dive headfirst into the listener mailbag. The topics we cover are wide-ranging, but include specific thoughts on MAME systems, and pinball tournament basics. In the middle of the show we have a surprise visit from Whitney Roberts of the Broken Token Podcast who plays a quick round of ten questions. Finally, we finish out the episode with our “just the tip” segment before pleading for mail.